West Berkshire is a truly beautiful place to be in the autumn with swathes of majestic trees gradually turning golden yellow. LO and I have been playing a simple, but surprisingly fun game in various places around the area. 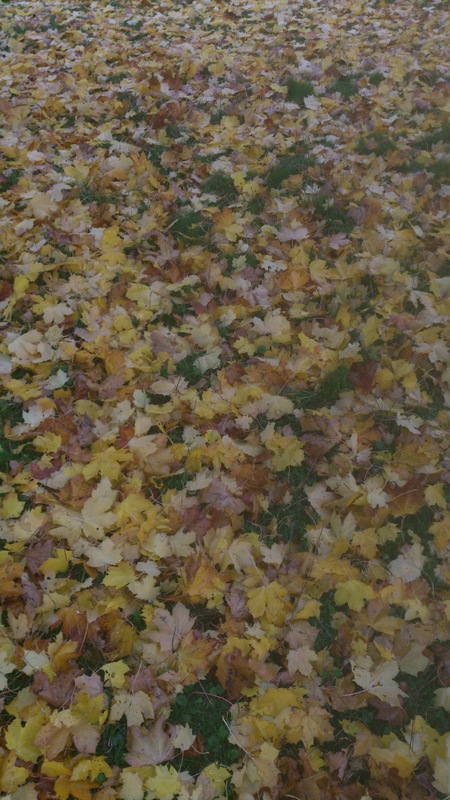 It allows us to appreciate the true beauty of autumn while unwittingly getting some exercise. The game is called “catch a falling leaf” which does exactly what it says on the tin – you stand under an avenue of trees and simply catch any falling leaves. It’s much, much harder than it sounds, providing you stand under trees that are taller than you are! We nearly fell over with laughing earlier on in our attempts to catch the yellow leaves; it took us a good 15 minutes to achieve our first catch! In the last few days, we’ve done this in Goldwell Park, Hungerford Common, Basildon Park and Hungerford Park but we’re open to hearing of other autumnal locations! Where’s the best place in West Berkshire for a nice autumnal welly walk?